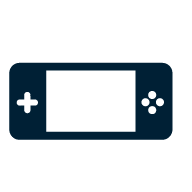 The market for portable game consoles is dominated by Nintendo's DS-models and to a certain extent Sony PSP, Playstation Portable. Sega and Dingoo are other common brands. Looking for games for consoles? Find them here.